Shobnall Marina is a place on the waterways minor waterways place place on the waterways major waterways place village town city on the Trent and Mersey Canal (Main Line - Burton to Fradley) between Horninglow Bridge No 32 (6¾ furlongs and 1 lock to the northeast) and Branston Bridge No 34 (Branston) (1 mile and 1½ furlongs and 1 lock to the southwest). The nearest place in the direction of Horninglow Bridge No 32 is The Boat and Butty Café (Formerly the Cornerstone Café); a few yards away. The nearest place in the direction of Branston Bridge No 34 is Marstons Brewery Bridge No 33B; a few yards away. Facilities: diesel for sale, chemical toilet disposal, gas for sale, coal for sale and boatyard pump-out. The place is a Marina, a Boatyard, a Basin and a Slipway. Second Avenue, Centrum One Hundred, Burton upon Trent, DE14 2WF — 1628 yards to the southwest. Casey lane, Burton upon Trent, DE14 2 JQ — 881 yards to the northeast. 43 Cross Street, Burton upon Trent, DE141 — 1345 yards to the east. 43-45 New Street, Burton upon Trent, DE14 3QW — 1619 yards to the east. Queens Hospital, Belvedere Rd, Burton upon Trent, DE13 0RB — 1403 yards to the north. Crown Industrial Estate, Anglesey Rd, Burton upon Trent, DE14 3NX — 857 yards to the southeast. 9-10 Union Street, Burton-upon-Trent, DE14 1AA — 1589 yards to the east. Shobnall Road, Burton-upon-Trent, DE14 2BA — 381 yards to the northwest. 23 Uxbridge Street, Burton upon Trent, DE14 3JR — 1402 yards to the southeast. Walton-on-Trent — 1446 yards to the north. Callister Way, Burton-upon-Trent, DE14 2SY — 685 yards to the southwest. 68 Grants Yard, Burton upon Trent, DE14 1BW — 1240 yards to the east. 25 St Georges Road, Burton upon Trent, DE13 0QT — 1370 yards to the north. Office 2, 1-3 Borough Road, Burton upon Trent, DE14 2DA — 926 yards to the east. Shobnall Road, Burton-upon-Trent, DE14 2AU — 48 yards to the northeast. Unit 9, Derwent Business Park, Hawkins Lane, Burton upon Trent, DE14 1QA — 731 yards to the east. King Edward Place, Burton upon Trent, DE14 2EB — 766 yards to the east. 165 Uxbridge street, Burton upon Trent, DE14 3JY — 1594 yards to the southeast. Shobnall Rd, Burton upon Trent, DE14 2BG — 144 yards to the west. Borough Rd, Burton upon Trent, DE14 1 — 984 yards to the east. 50 Waterloo Street, Burton-upon-Trent, DE14 2 — 1018 yards to the northeast. Burton upon Trent — 629 yards to the southeast. Burton-upon-Trent — 629 yards to the southeast. Burton upon Trent — 1273 yards to the east. Burton upon Trent, DE15 9 — 1558 yards to the southeast. Burton-upon-Trent — 189 yards to the north. 245 Shobnall Road, Burton-upon-Trent, DE14 2BE — 607 yards to the northwest. Burton upon Trent — 1558 yards to the east. Shobnall Road, Burton-upon-Trent, DE14 2BB — 61 yards to the northeast. 165, All Saints Road,, Burton upon Trent, DE14 3PL — 1491 yards to the southeast. Burton upon Trent — 528 yards to the northeast. Fourth Ave, Centrum One Hundred, Burton upon Trent, DE14 2 — 839 yards to the southwest. Office 3, The Trinity, George Street, Burton-upon-Trent, DE14 1DP — 1558 yards to the east. Lichfield, WS13 6EF — 1410 yards to the north. Burton upon Trent — 1359 yards to the north. Belvedere Rd, Burton upon Trent, DE13 0 — 1218 yards to the north. Marstons sports and social club. 307 Shobnall Road, Burton-upon-Trent, DE14 2BD — 59 yards to the northeast. Town Hall, Burton upon Trent, DE14 2EB — 912 yards to the east. 1-3 Borough Road, Burton upon Trent, DE142DA — 930 yards to the east. 346 Uxbridge St, Burton upon Trent, DE14 3JS — 1375 yards to the southeast. 152 Victoria Cressent, Burton upon Trent, DE14 2QQ — 1334 yards to the northeast. Grain Warehouse 6 Derby St, Burton upon Trent, DE14 2JJ — 990 yards to the east. 80 station street, Burton-upon-Trent, DE14 1BT — 1355 yards to the east. Shobnall Road, Burton upon Trent, Burton upon Trent, DE14 2BB — 257 yards to the northwest. 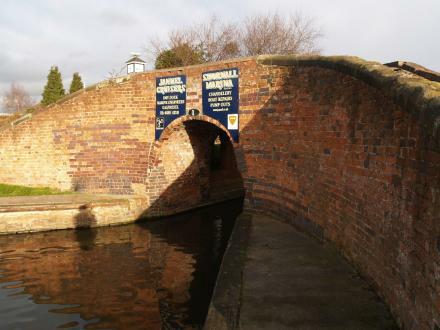 Shobnall marina, Shobnall Road, Burton upon Trent, DE14 2AU — 46 yards to the northeast. Shobnall Rd, Burton-upon-Trent, DE14 2BB — 414 yards to the north.